DESCRIPTION: Whether it's allergy season or the flu is making its annual rounds, congestion and strained breathing typically arrives at lease once a year. If you're sick of cough syrup or just sick of being sick, try a natural approach with Breathe Easier. 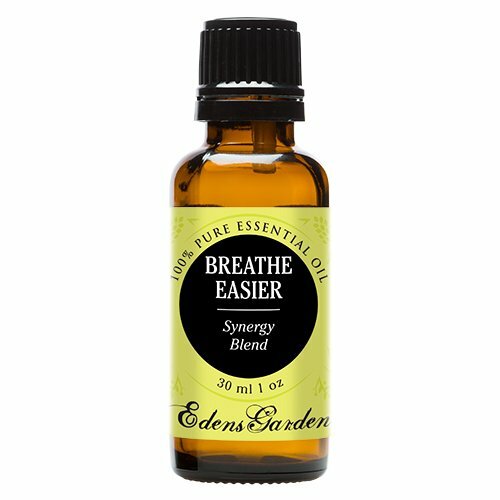 A restorative blend that actually helps promote circulation within the respiratory system, Breathe Easier can clear icky air passageways so you can effortlessly inhale and exhale. Its antiseptic qualities revitalize and soothe breathing. When you're sick in bed (or struggling in the elsewhere), Breathe Easier comforts with its warming and cooling effect while also strengthening the immune system. 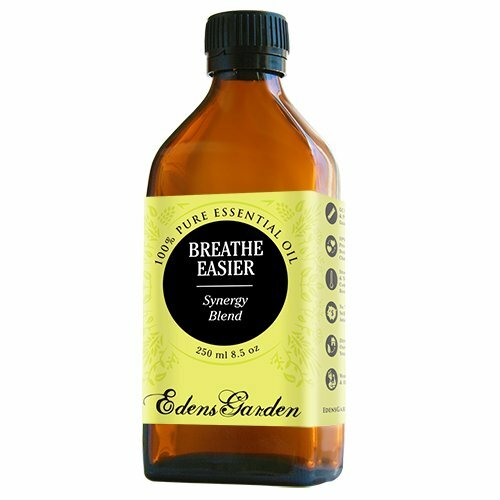 Although we can't promise that colds and coughs won't sneak up on you, Breathe Easier can simplify things. 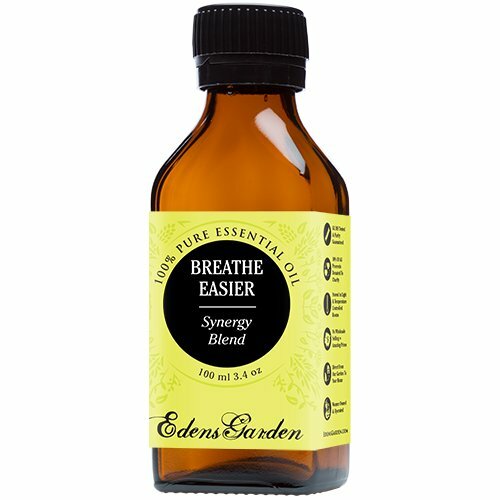 Breathe Easier is a healing mixture of Eucalyptus, Lemon, Peppermint and Rosemary. Made with care from our top quality oils and, as always, Edens Garden essential oils are never diluted or mixed with additives. 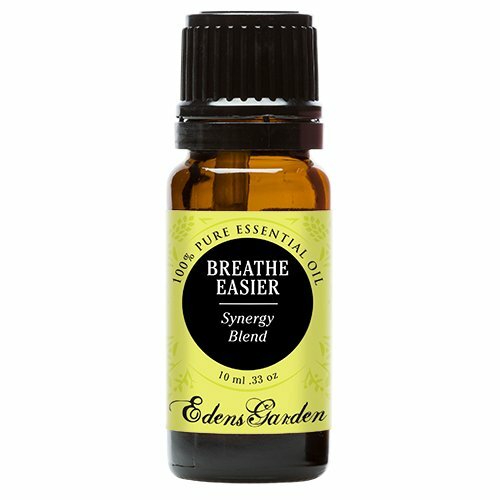 CONTAINS: Eucalyptus, Lemon, Peppermint and Rosemary BE INSPIRED: It's a well-known truth that breathing calms the body and the mind. 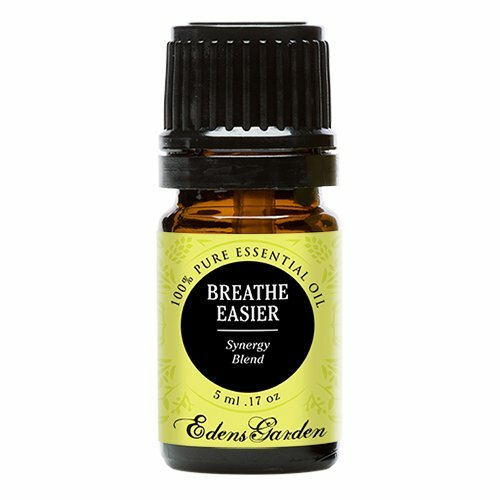 Improve your breath and reduce stress by inhaling Breath Easier in moments of tension. Or try placing a few drops Breathe Easier on a humidifier while you rest. You will wake with restorative breath, ready to breeze through the day.